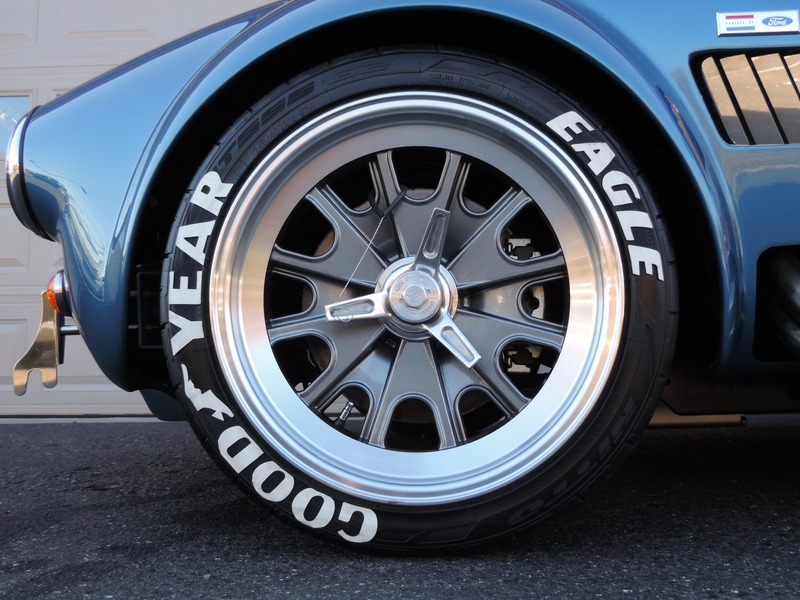 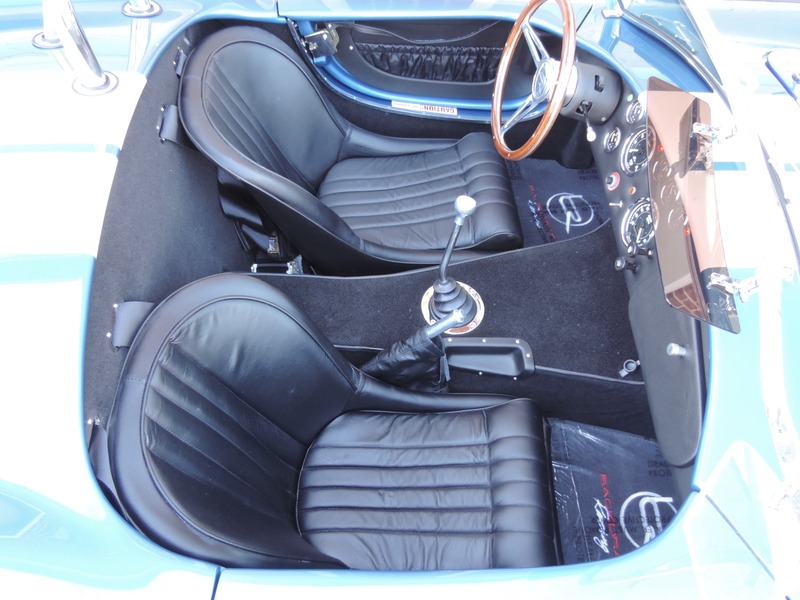 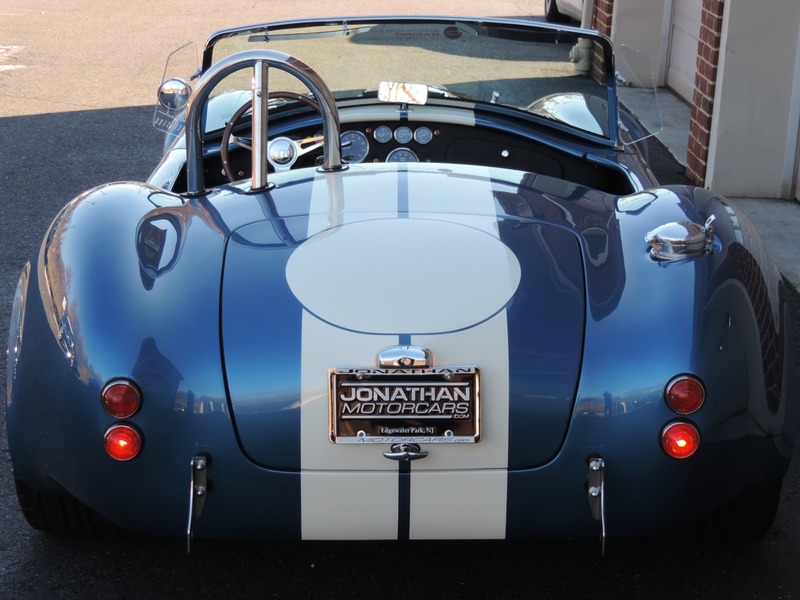 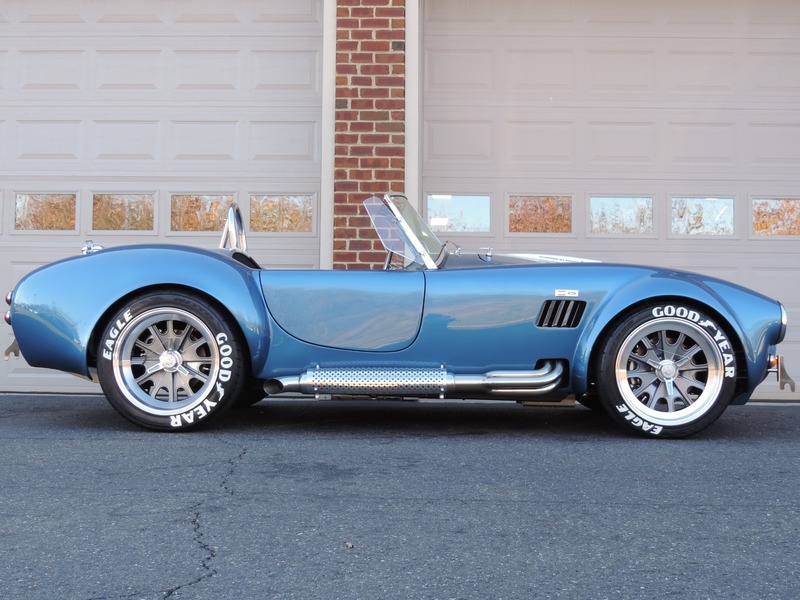 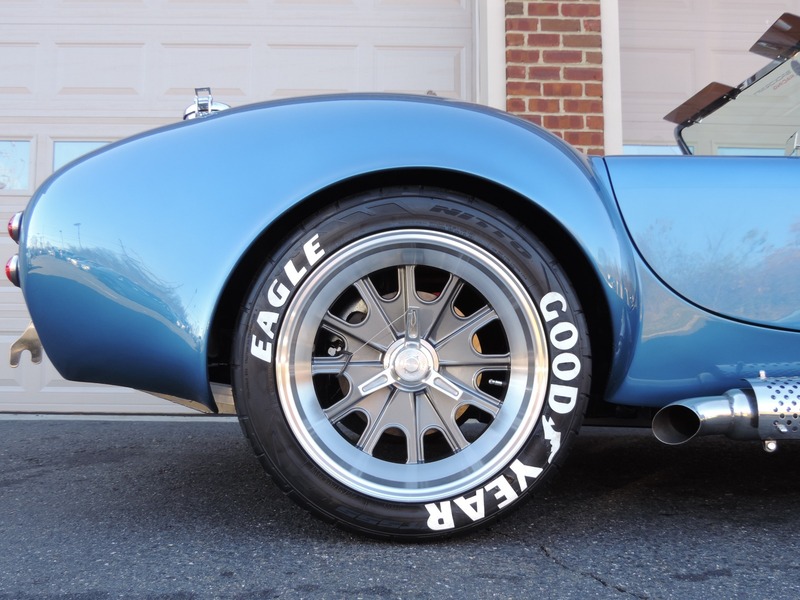 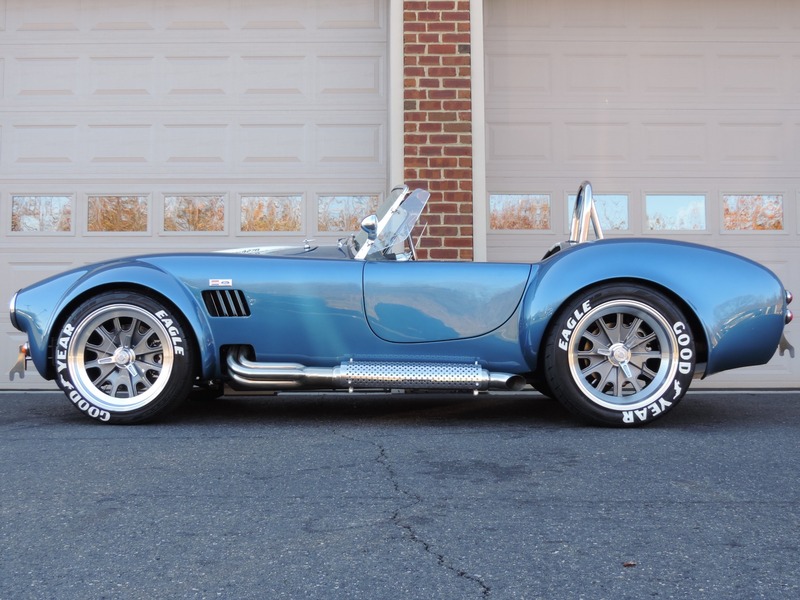 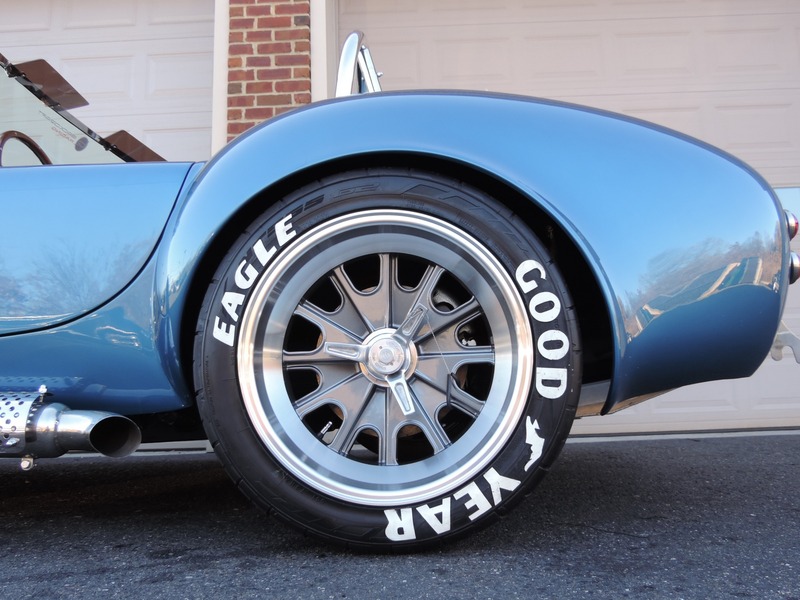 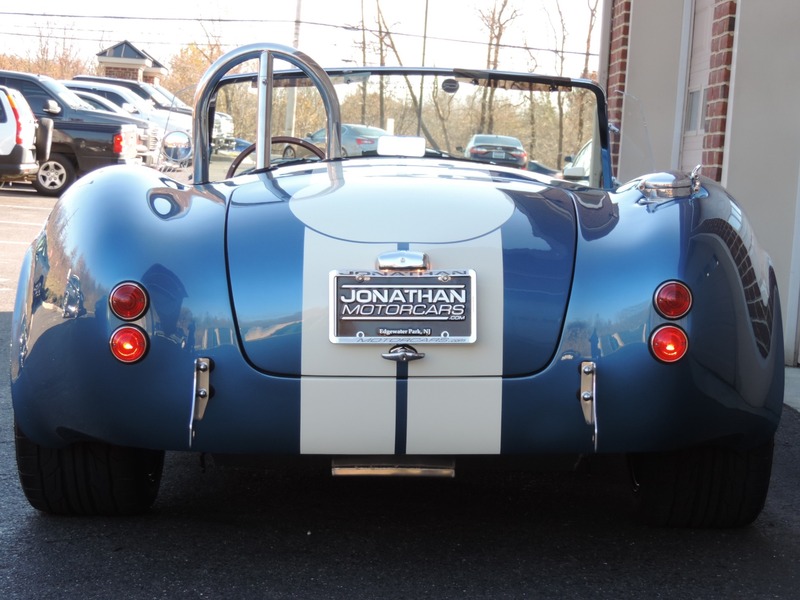 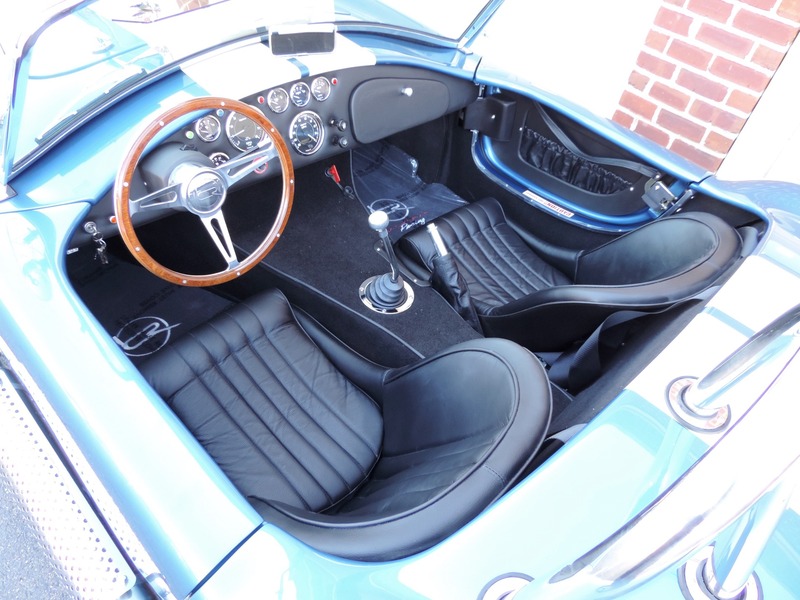 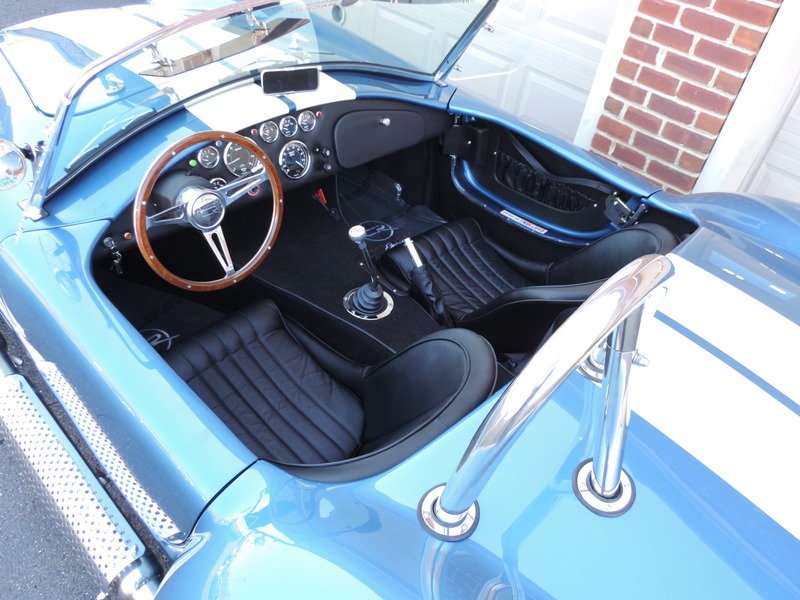 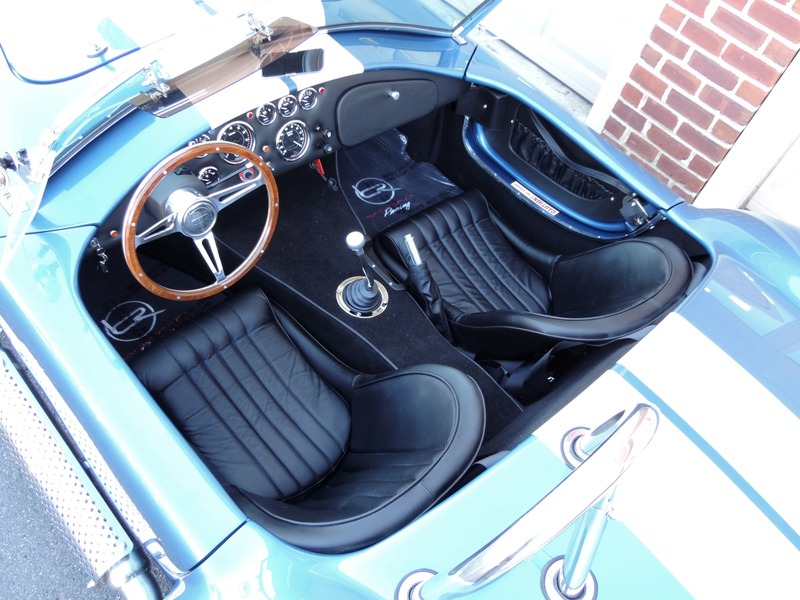 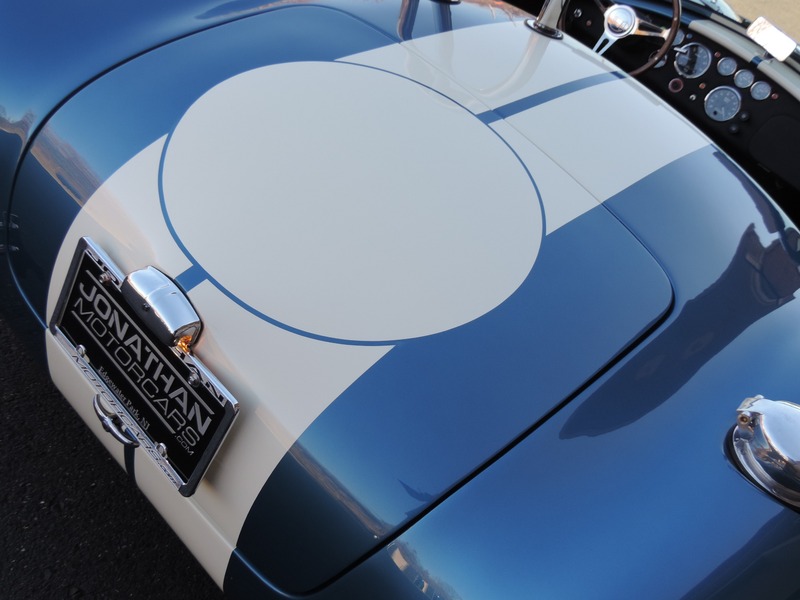 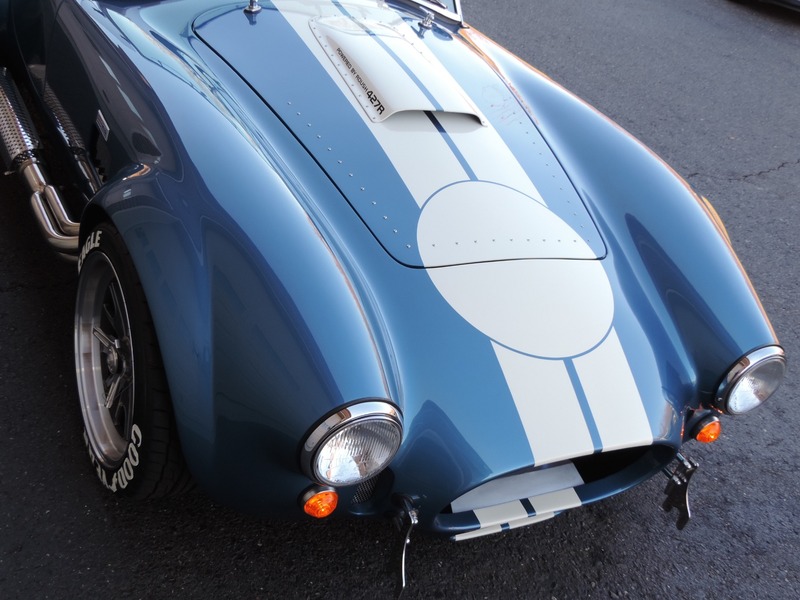 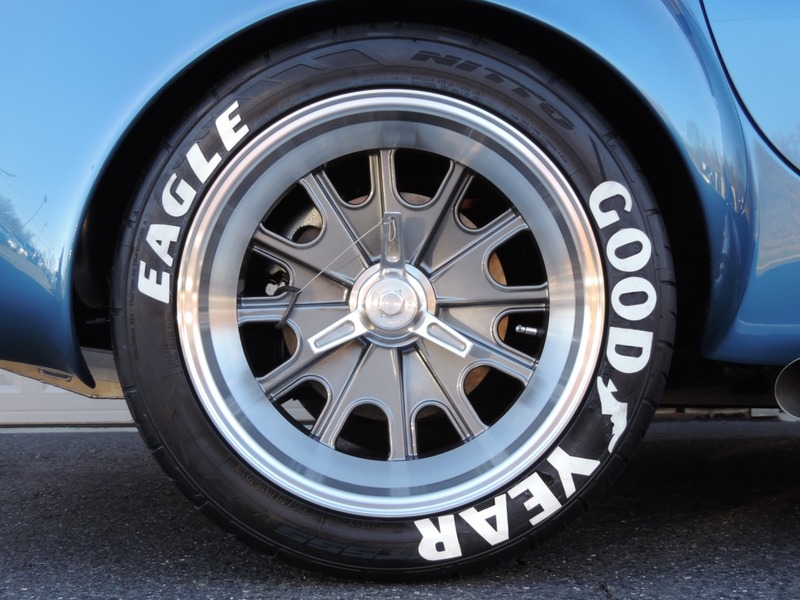 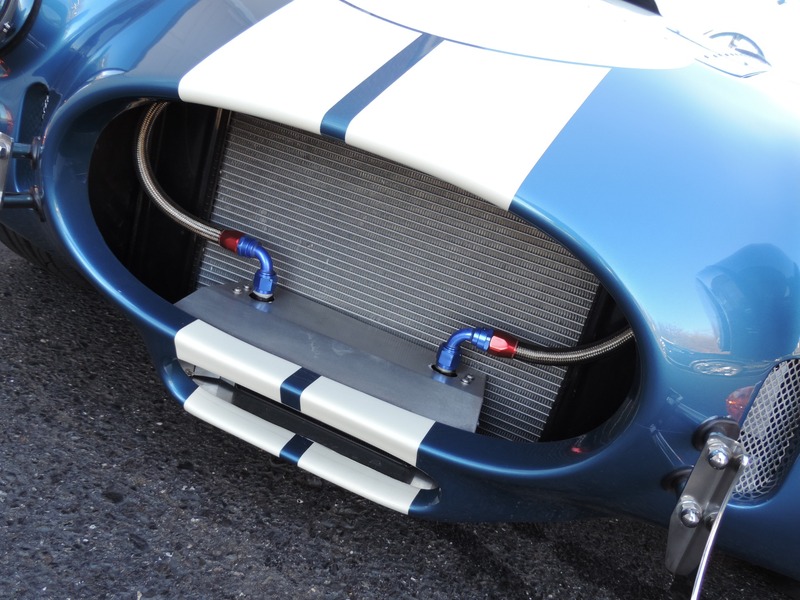 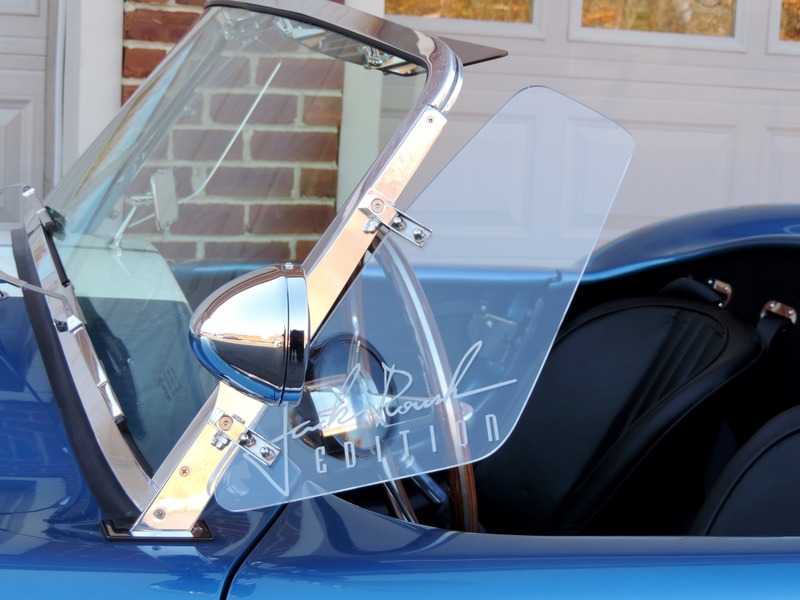 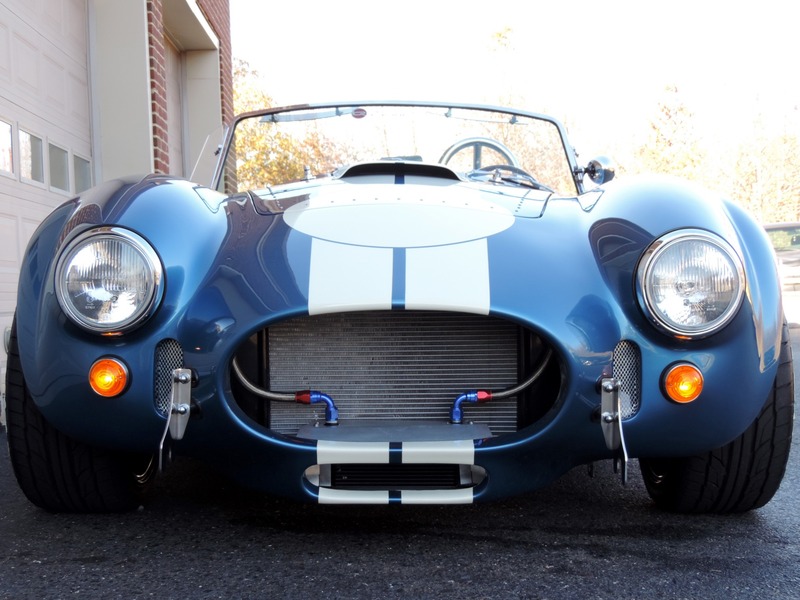 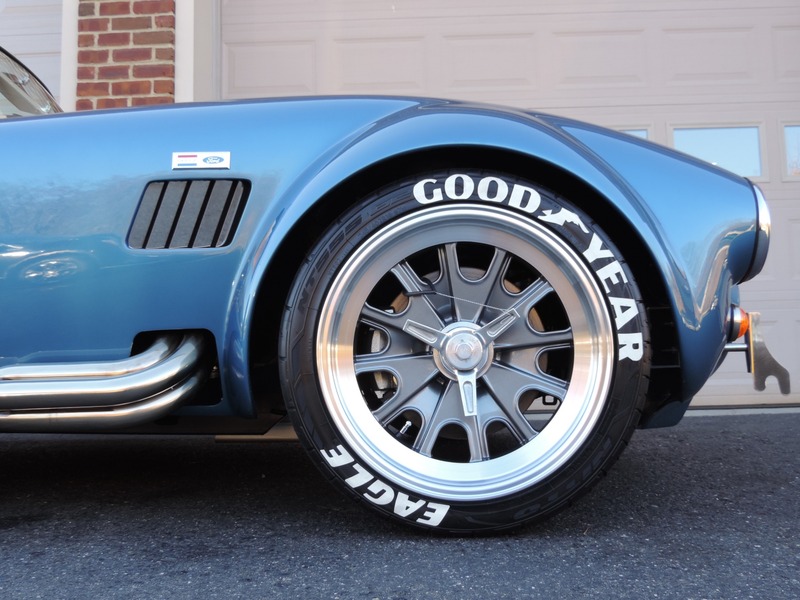 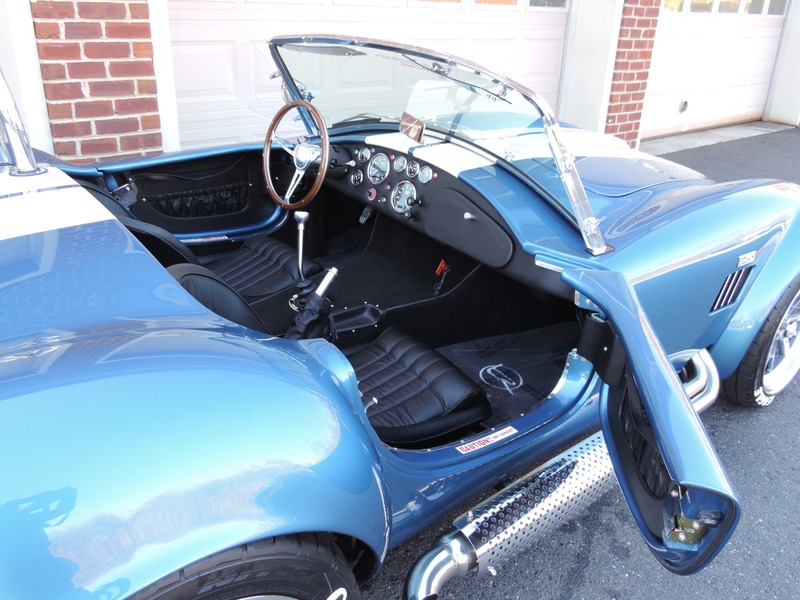 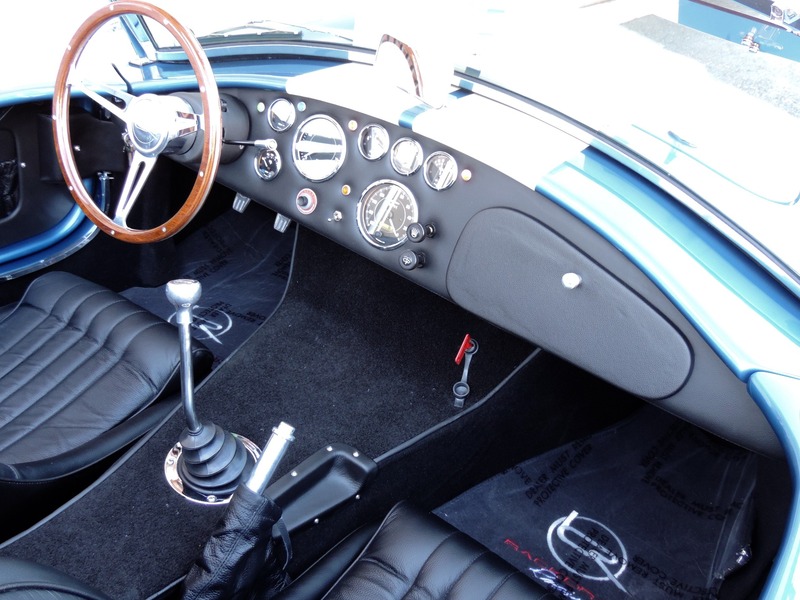 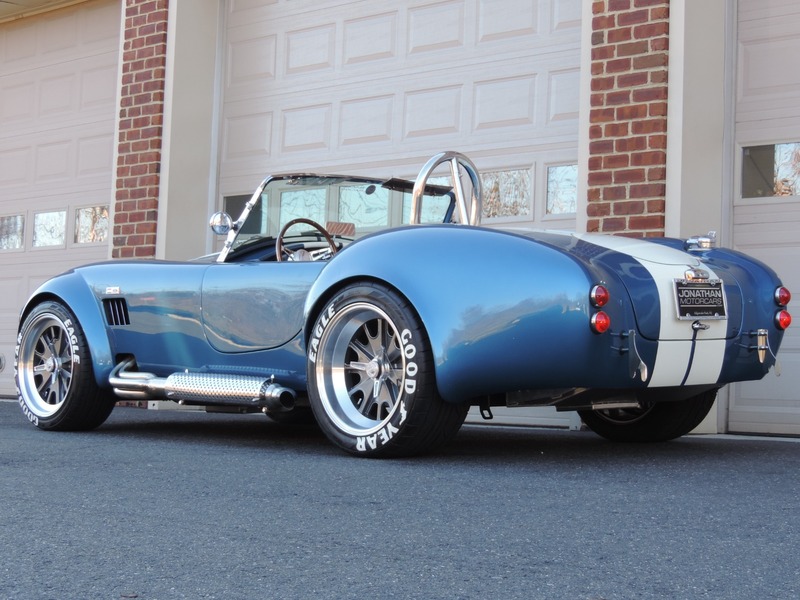 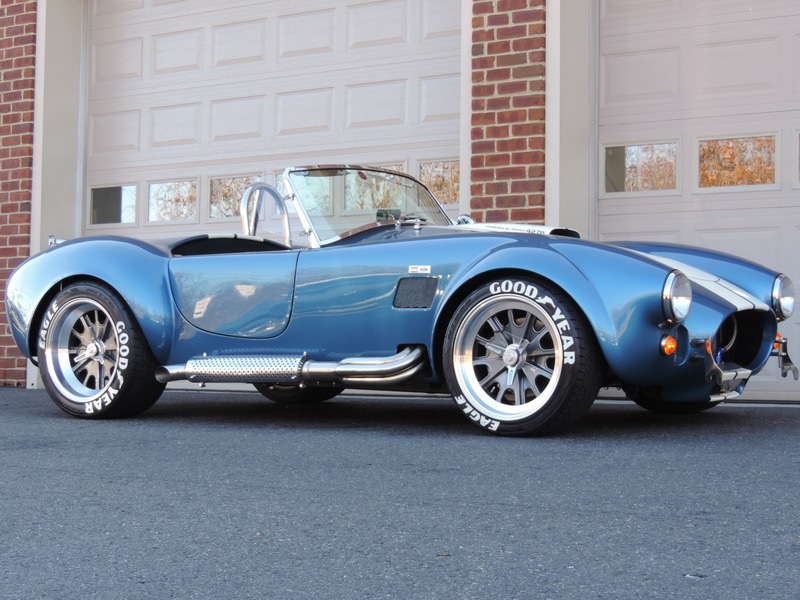 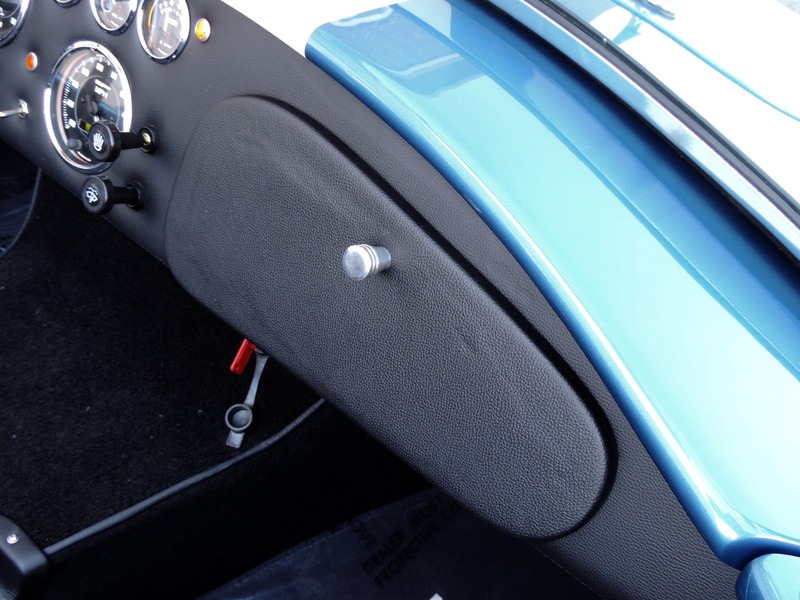 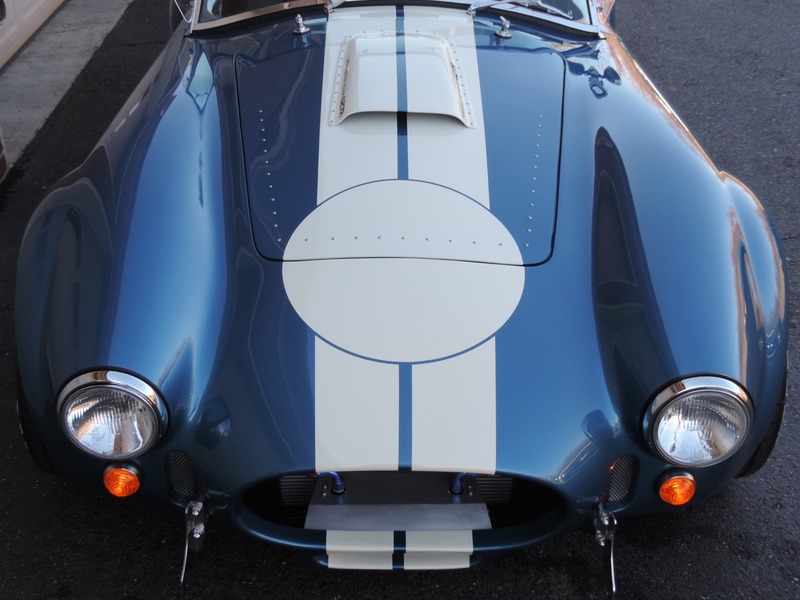 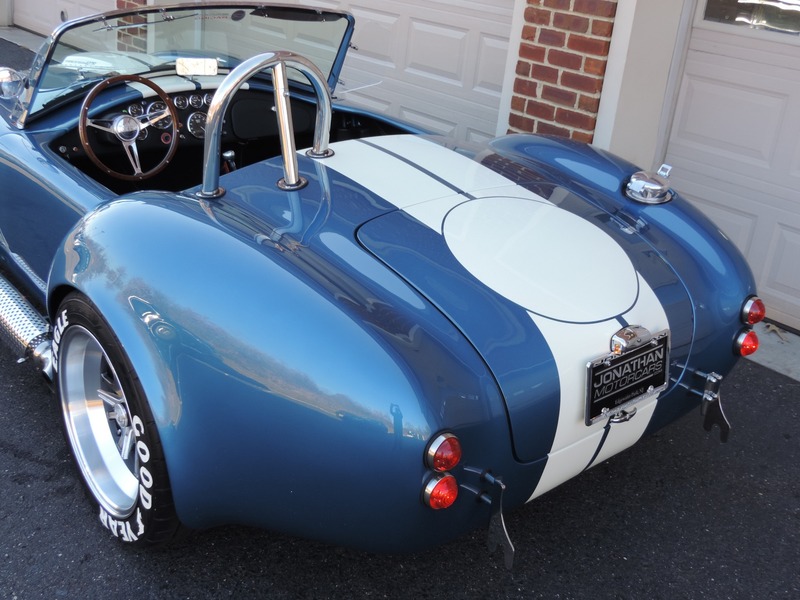 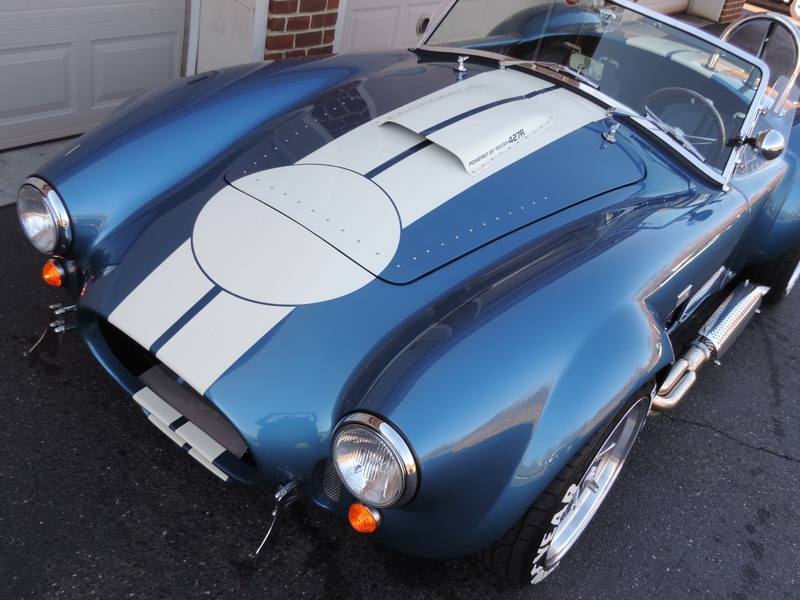 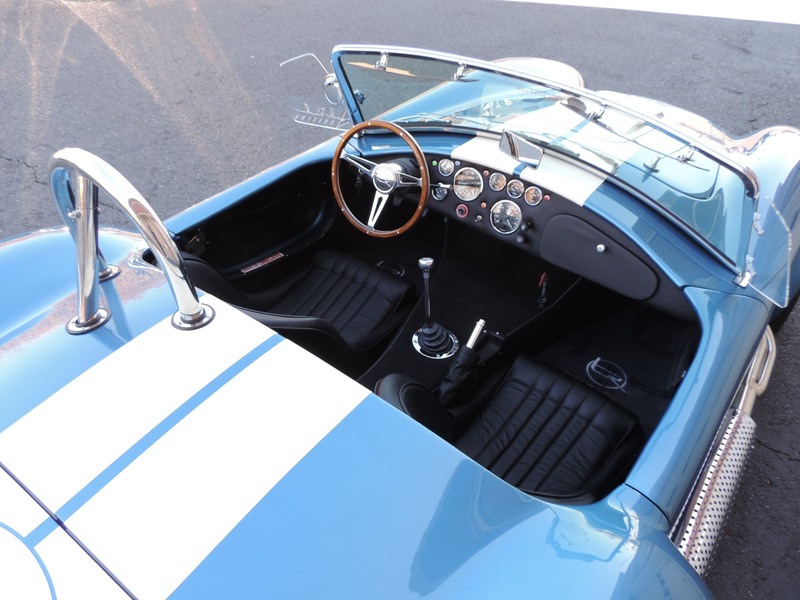 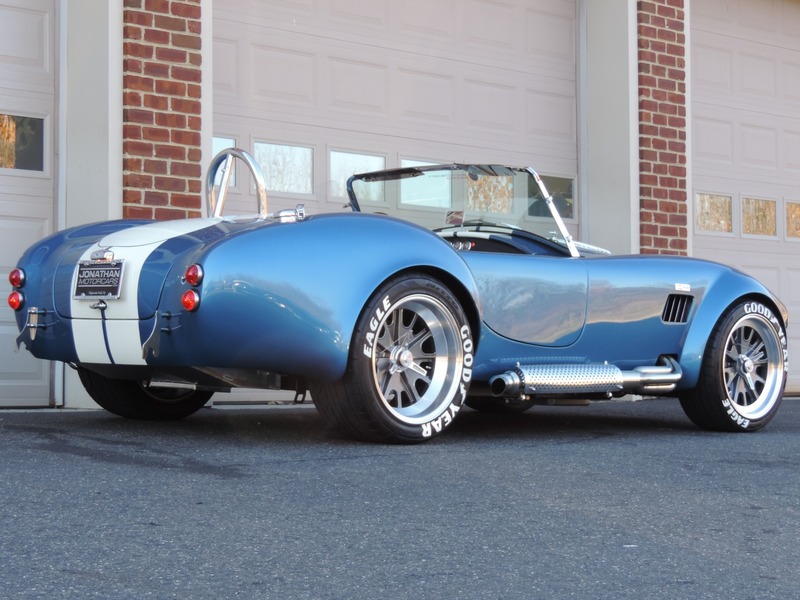 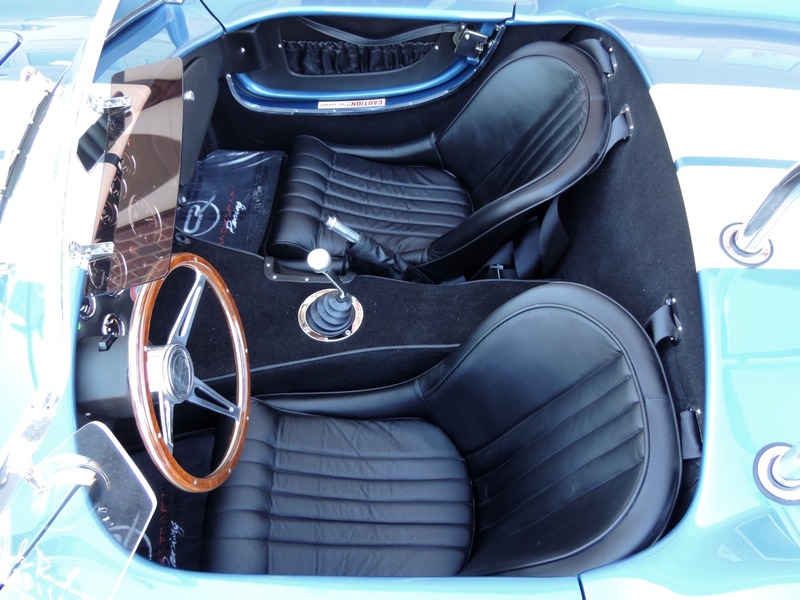 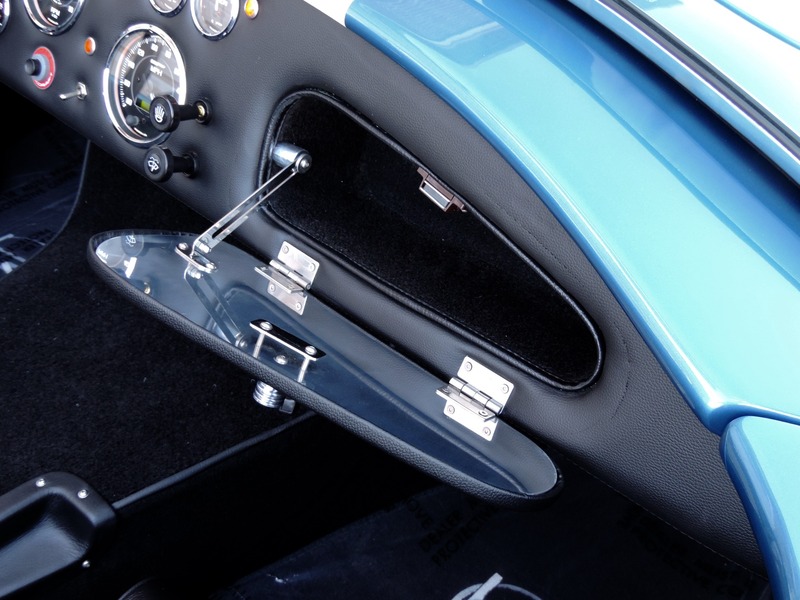 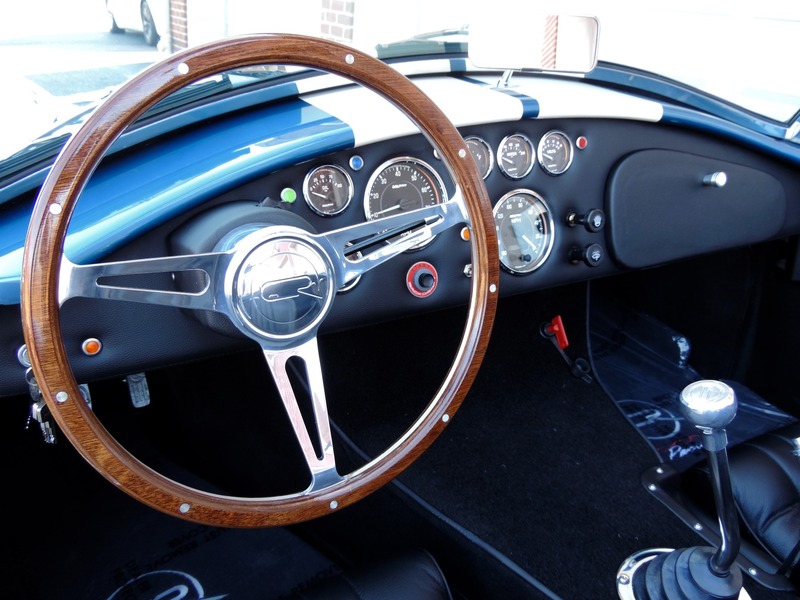 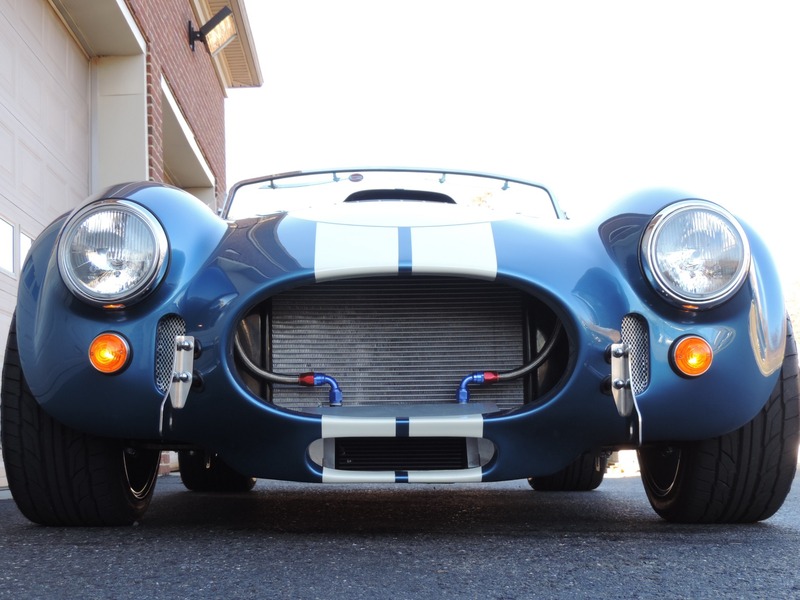 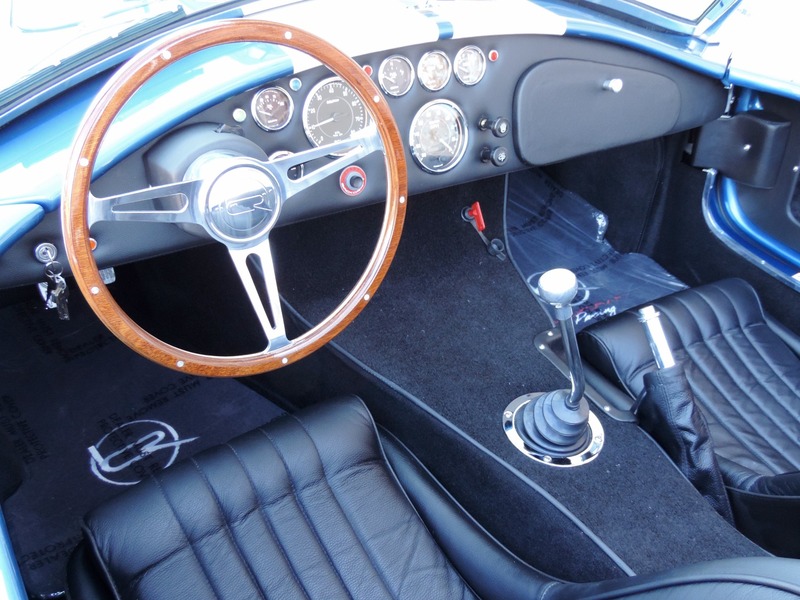 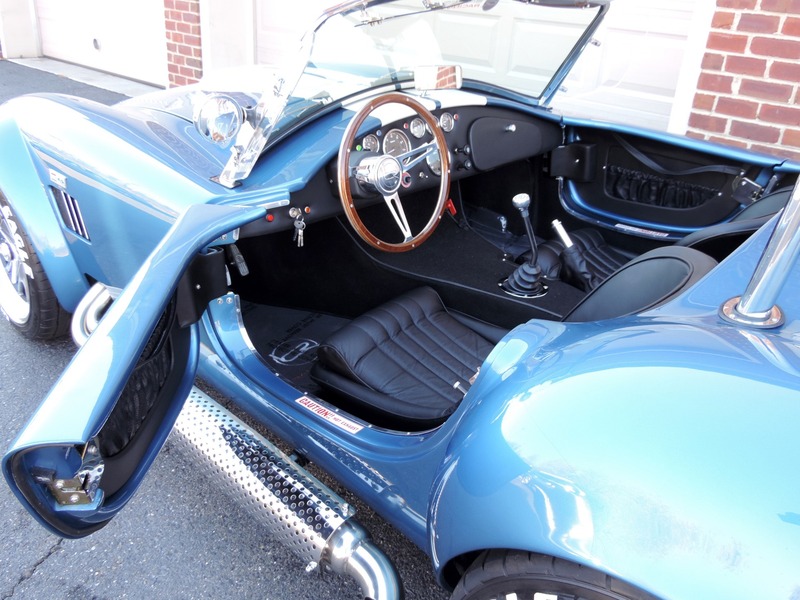 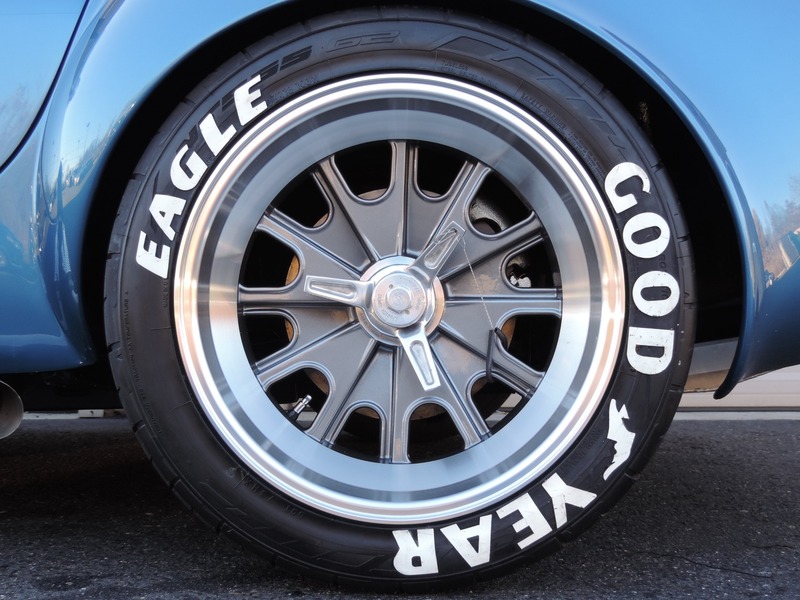 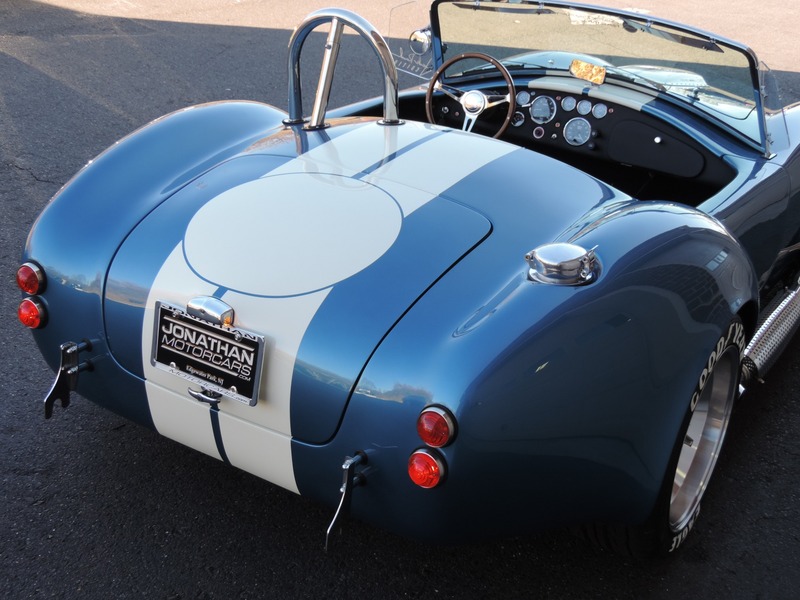 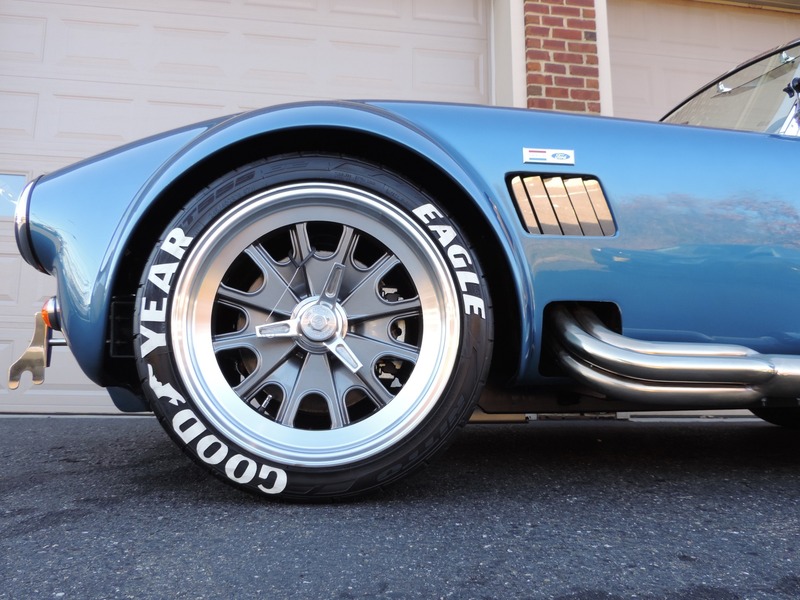 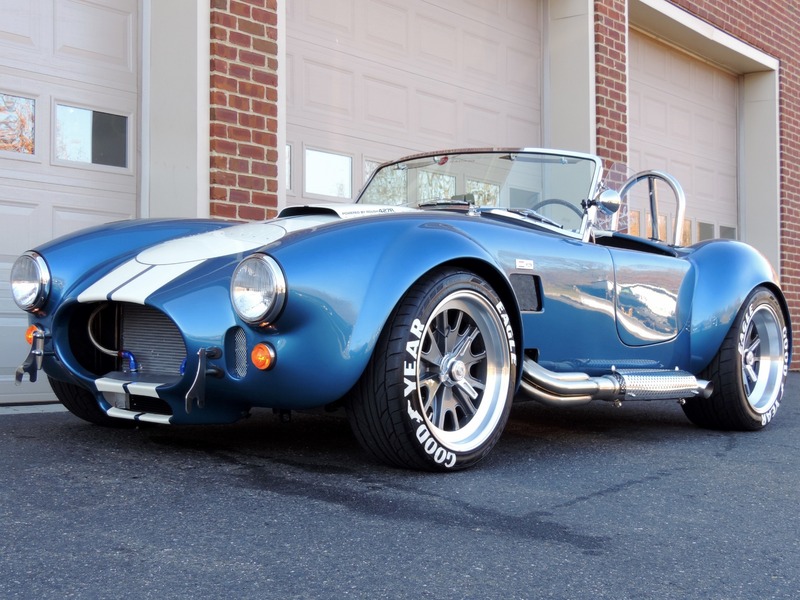 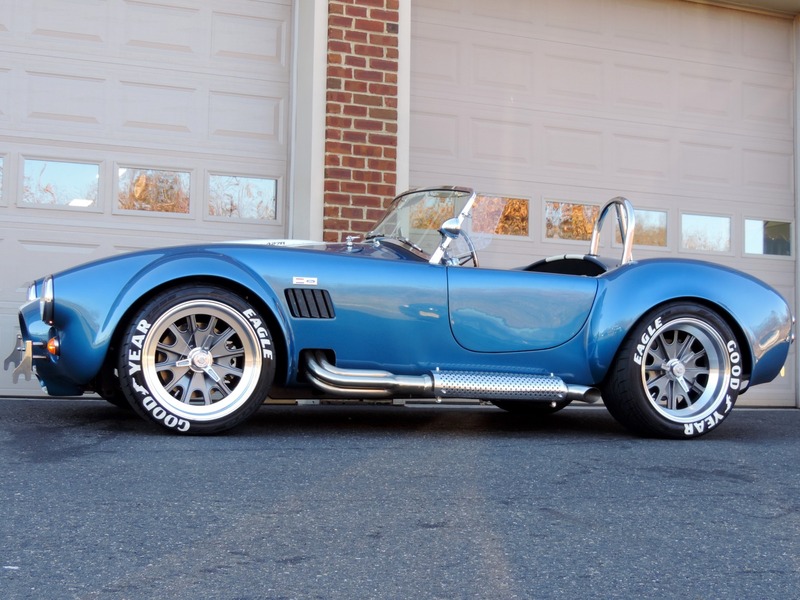 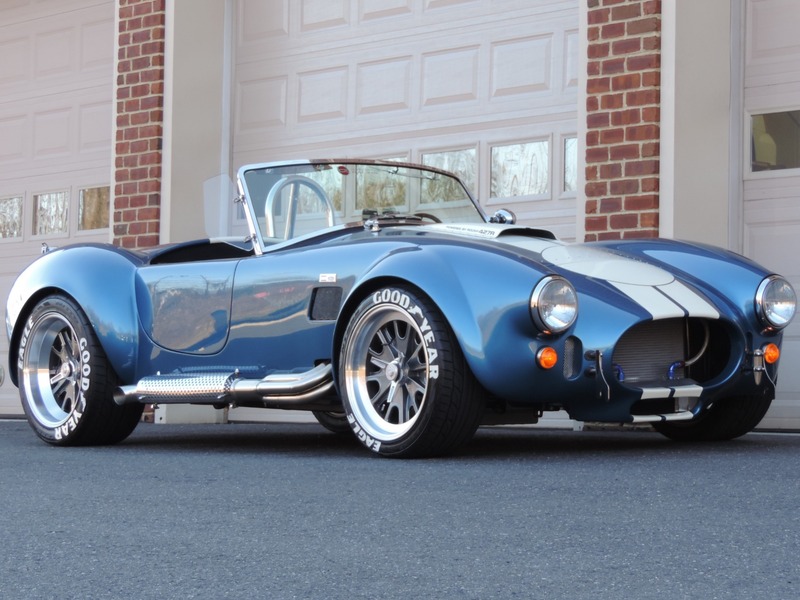 Jonathan Motorcars is proud to present this new Backdraft Racing Cobra #1835 in Guardsman Blue with Wimbeldon White Stripes as a part of our Cobra collection available for sale. 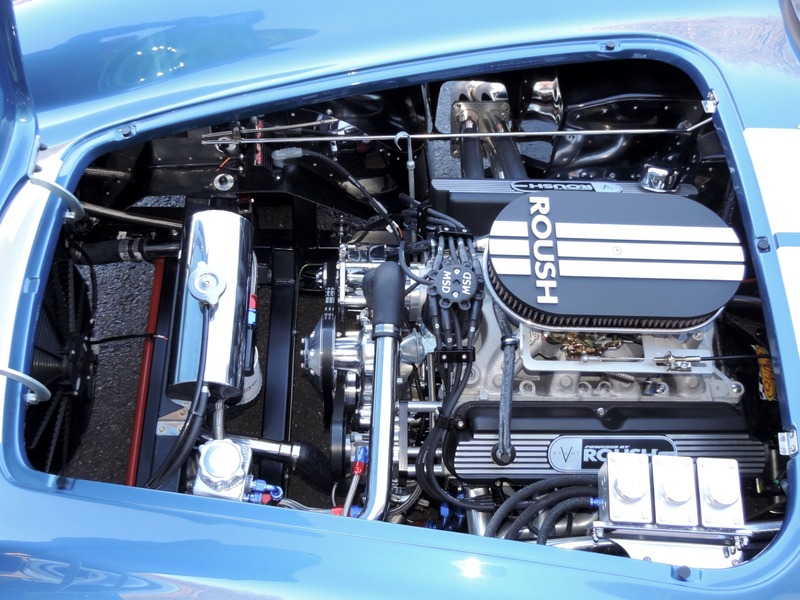 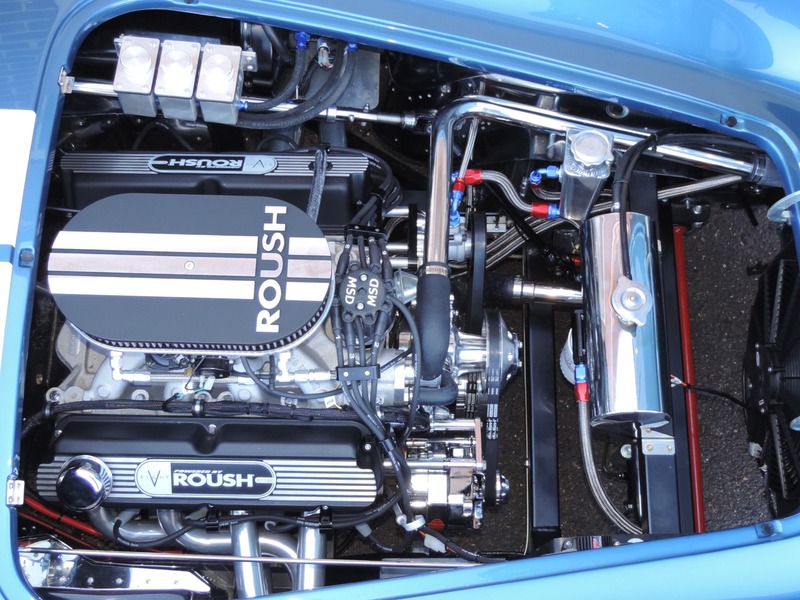 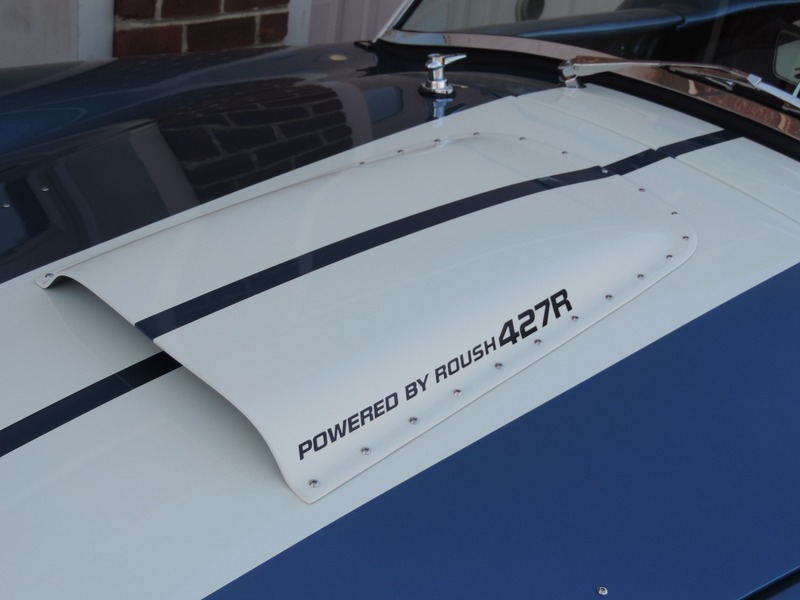 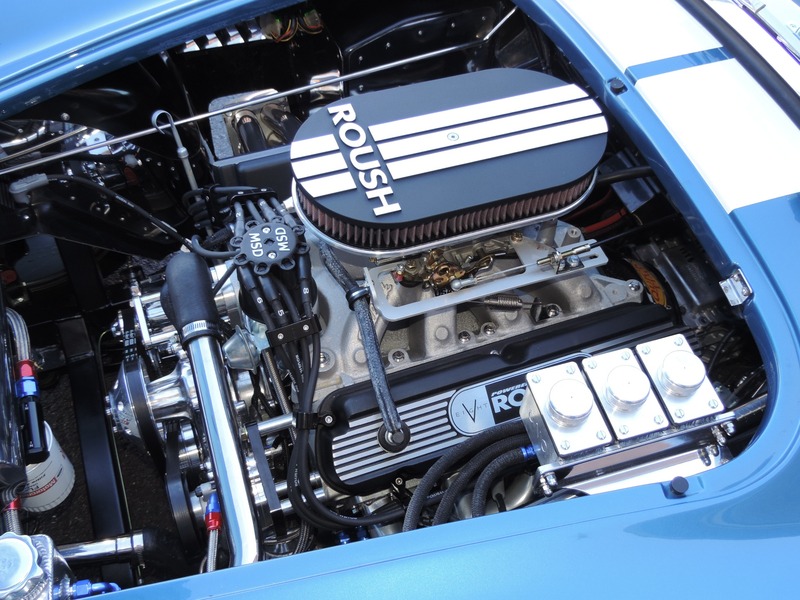 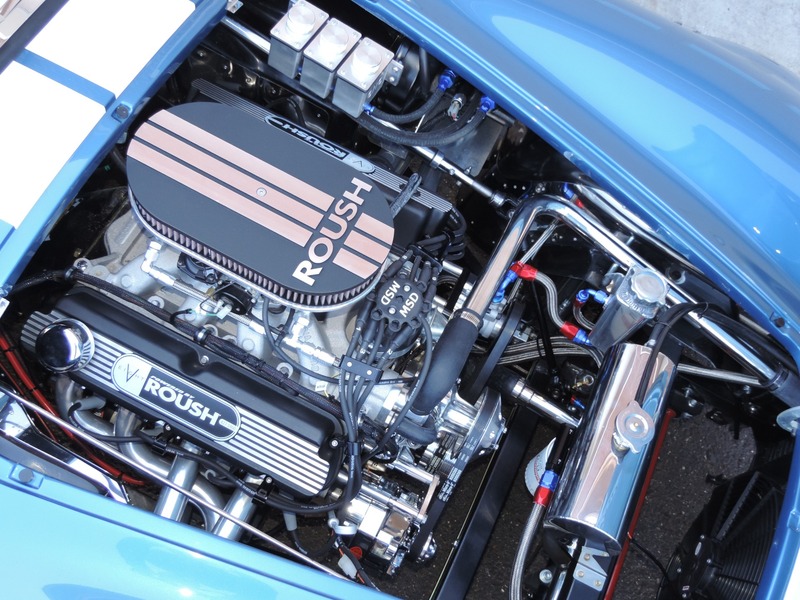 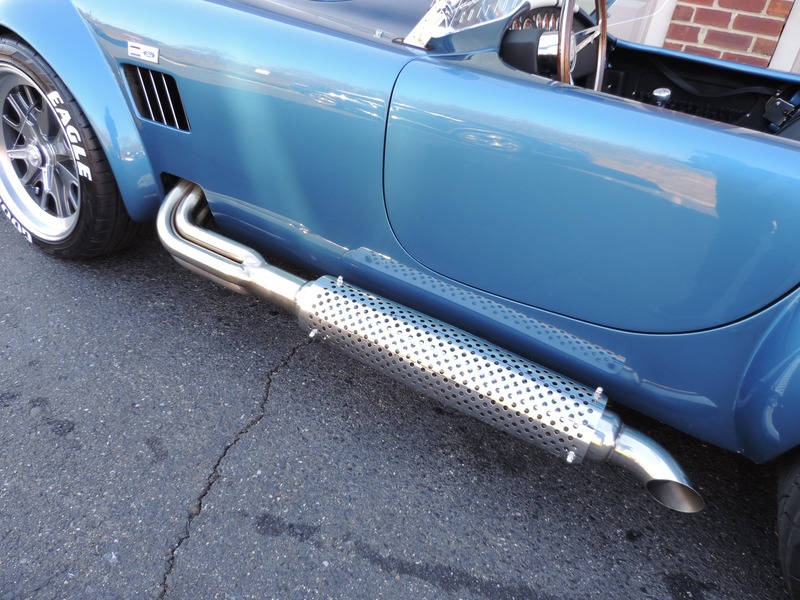 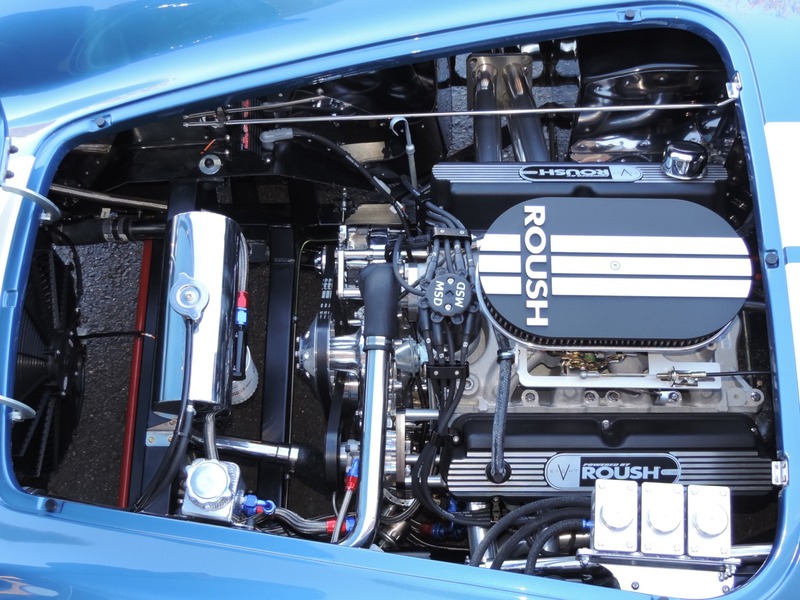 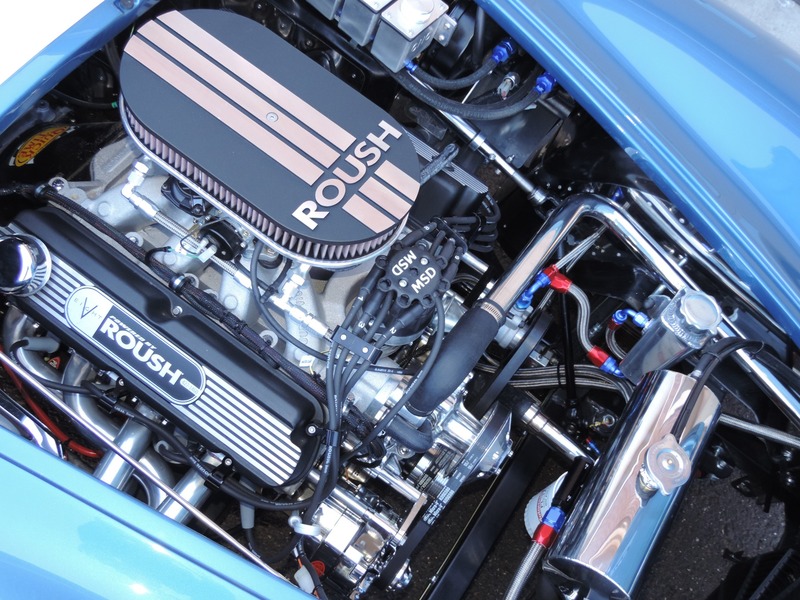 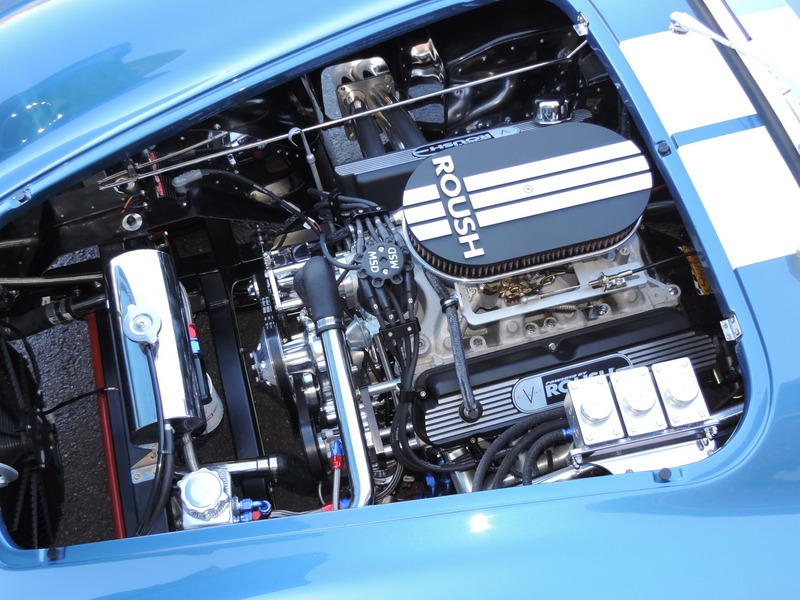 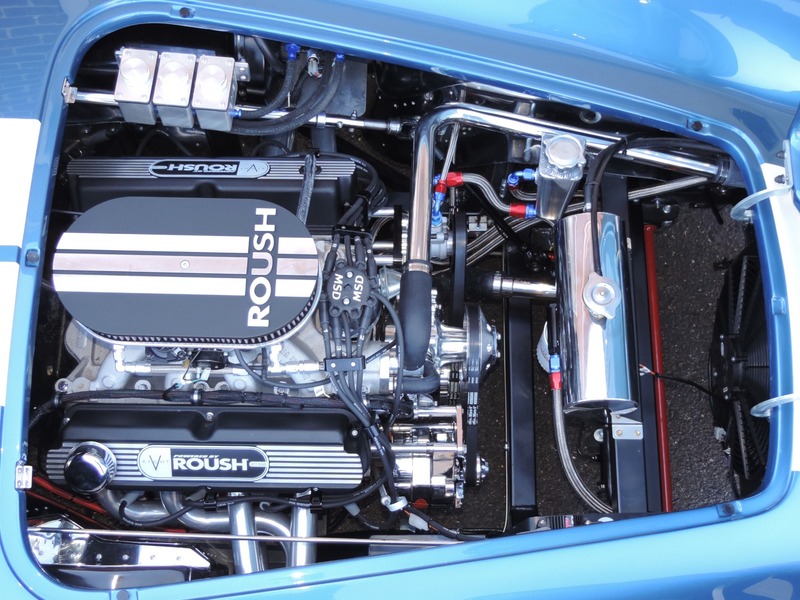 Optional Factory Upgrades Include: The Roush 427R 550hp Engine paired with the heavy duty TKO600 5-Speed Manual Transmission ($26,000) - Complete Front Oil Cooler ($950) - Ceramic Coated Headers ($350) - Upgraded Aluminum Gas Tank with External Pump ($500) - Remote Clutch and Brake Reservoir ($660) - Full Power Steering Kit ($2,400) - Goodyear Tire Graphics ($300) - Polished Raydot Mirror ($145) - Full Paint Protection on Nose, Fenders, and Doors ($1,000) - Sabelt Cam Lock Seat Belts Upgrade ($440) - E Brake Reccess in Leather ($350) - Autometer Gauges Upgrade ($600) - Glove Box in Leather Dash ($600). 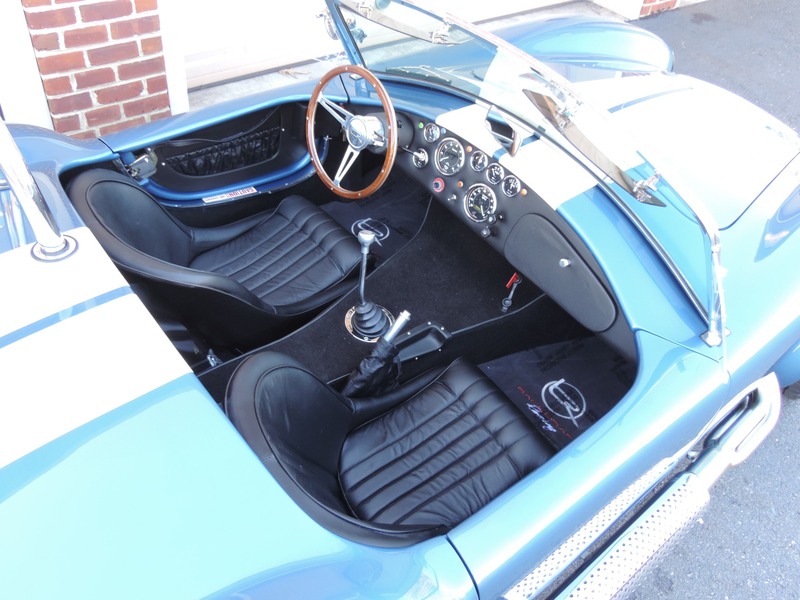 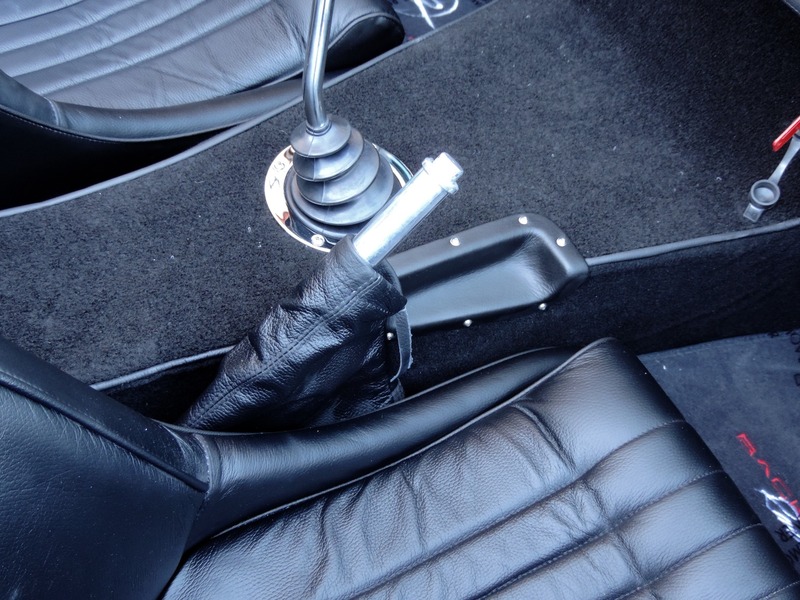 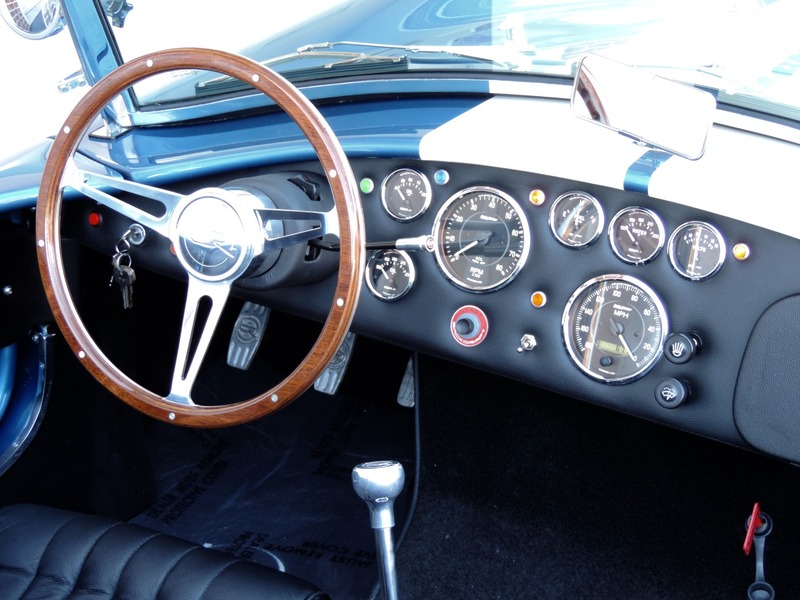 This Timeless Beauty also comes with: 18inch True Center-locking Wheels - 4 Point Adjustable Coilover Suspension - Mono Lita Genuine Wood Steering Wheel - Iconic Leather Seats - Push Button Start - BDR Billet Steering Badge - Leather Wrapped Dashboard - Windshield Wipers - Battery Cut-off Switch - Locking Aluminum Gas Cap - Polished Trim Package - and Much More. 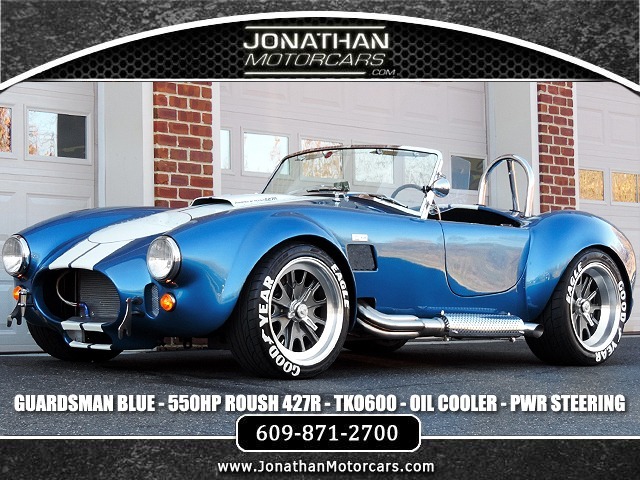 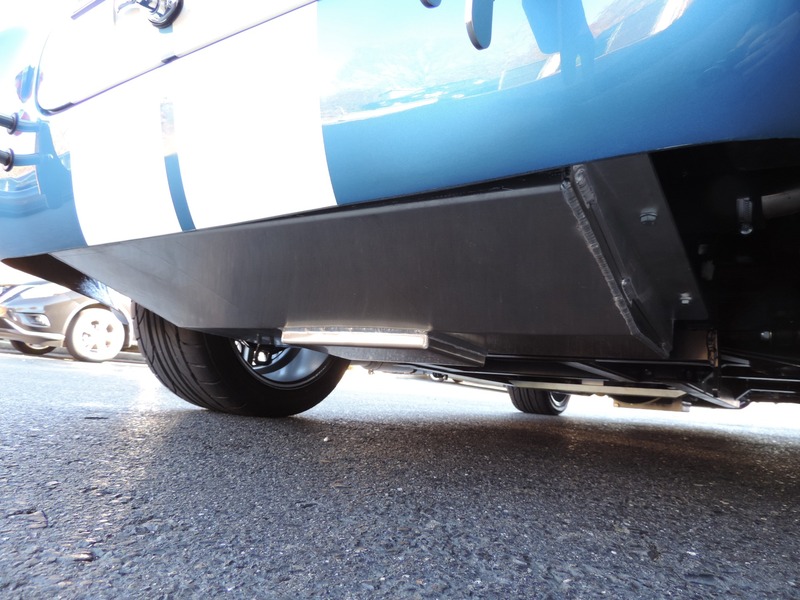 2018 Build - Full BDR 12month/12,000Mile New-Car Chassis Warranty - Home Transport at No Cost for All Local Clients within 100 Miles.